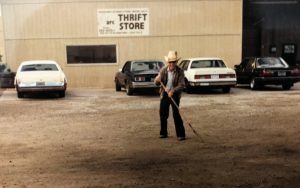 The local grassroots movement, which later formed the Arc Imperial Valley, began in 1963 when a group of concerned parents met to discuss the needs of individuals with developmental disabilities. With the growing involvement and enthusiasm of more individuals, the formal organization, which later became the Arc Imperial Valley, incorporated in 1973. Known as the Imperial Valley Association for the Retarded, the service provider component of the Arc was established by 1974 with a consumer base of 20 individuals. The first ten years of the Imperial Valley Association for the Retarded was marked by steady growth. This included the opening of residential facilities, the vendorization of a small transportation department, the expansion of the existing activity center and the creation of an adult development center. In 1983, the Imperial Valley Association for the Retarded changed its name to the Association for Retarded Citizens – Imperial Valley joining hundreds of affiliated organization throughout the United States. Through the late 80’s and early 90’s, the emergence of the Arc Imperial Valley as a leading service provider in the Imperial Valley, continued. Arc Industries, which had recently been accredited by the Commission on Accreditation of Rehabilitation Facilities, received its first major JWOD contract with Naval Air Facility and the Transition Unit had been established. Throughout this time challenges were met and new ideas were implemented. 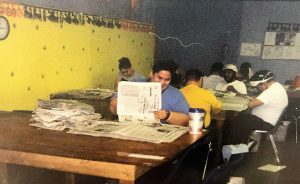 The Association for Retarded Citizens – Imperial Valley changed its name to Arc Imperial Valley in 1998 reflecting growing national trend in which those we serve provided input as to how they will be served. The name change was consumer driven. The Arc Imperial Valley currently operates Residential, Vocational, and Transportation services for people with physical and mental disabilities. While the vast majority of the Individuals served by the Arc have Intellectual disabilities, the Arc hires and provides services for people with other disabilities. Over 1,500 individuals receiving program services through the Arc Imperial Valley though 2010. The Arc Imperial Valley currently operates Group Homes, Independent Living Services, an Adult Development Center, a Behavior Management Program, an Activity Center, a Work Activity Program, Supported Employment and Individual Placement, Transportation Services, a Commercial Kitchen and a Recycling Program with a Car Wash. The Arc Imperial Valley is also one of the largest Federal Government contractors in the area through the AbilityOne Program. 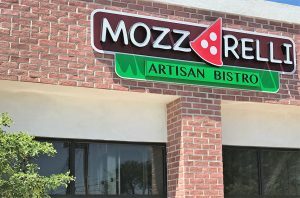 In early 2014 the Arc Imperial Valley opened Mozzarelli Pizza and Gelato in El Centro as a pilot program to evaluate the efficacy of the Arc operating a restaurant that employs individuals with disabilities. In 2016 the Agency’s headquarters remodeled its lunch area into a fully equipped cafeteria to provide training grounds for our clients. During this process, the Arc was offered an opportunity to work with a group of local business leaders in operating the bowling center. After careful consideration, the Arc offered to buy the center from the local group. In August 2017, the Arc Imperial Valley became the sole owner/operator of the StrikeZone Bowling Center with Mozzarelli moving to the Center. The community’s response was very positive and in 2018 a second Mozzarelli opened in Imperial. Helping People with Intellectual Challenges Achieve their Potential is the Arc’s mission and we thank all the customers, patrons, and business partners that help us accomplish this through our various activities.